Well over a billion apps have been developed for the iOS platform since its inception. Most of the early apps were rather simple and often developed by a single developer. 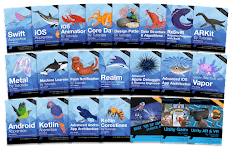 Over the years, iOS apps have become increasingly complex pieces of software that often involve large, distributed teams of developers working in Agile environments with complex build and release pipelines. Modern apps often perform several complex operations including (but not limited to) presenting a complex user interface, multithreading, storing data in local databases, interfacing with multiple sensors, media recording and playback, and consuming RESTful web API’s. code can handle edge scenarios? And finally, how do we know that we have built the right software that meets business requirements? is addressed by the practice of unit testing, and Behavior-Driven Development (BDD) addresses the answer to the question of building the right software in the first place. BDD is covered in Chapter 10. 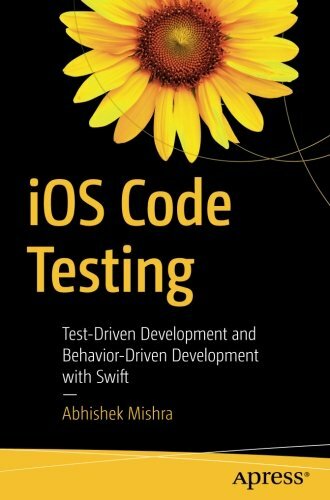 In this chapter and the next one you will learn about unit testing, and the related discipline of Test-Driven Development (TDD). Test Driven Development (TDD) has its roots in a programming paradigm called Extreme Programming1 (XP), created by Kent Beck in 1996. The use of the word “extreme” signifies a radical departure from standard programming practices of that time. TDD is designed to provide developers with a tangible way to prove that the code they have written does what they think it does, and to provide some confidence that the new code that has been written does not cause any potential side effects with existing code. Central to the TDD approach is the concept that a developer not only writes actual code to carry out the app’s functionality but also tests code that ensures his application’s code does what it is supposed to do. The test code is not shipped with the product. While writing test code in addition to code that carries out the app’s intended functionality is indeed extra work, it should be seen as an up-front investment toward improving the quality of the product that ships to customers. A team that practices TDD techniques will, over time, observe a reduction in the number of regression defects. ■ Note tdd is often used interchangeably with the term unit test; however, these two terms are not the same thing. tdd is an approach to software development where the test code is written first: in essence, the tests drive development. A unit test is just a piece of test code viewed in isolation. A unit test is one of the by- products of adopting a TDD approach. However, the mere existence of one or more unit tests does not necessarily imply that the developer followed a TDD approach. The unit tests could, for instance, have been fitted retrospectively to existing code. If you find working on large problems overwhelming, you may find TDD to be a useful technique to break down a problem into smaller ones, use tests to solve the smaller problems, and in the process end up solving the larger problem. You will soon realize that large problems are not as overwhelming once you approach them with a TDD mindset.